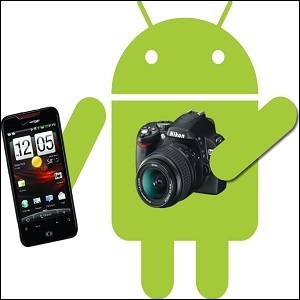 Taking a screenshot on Android is easy, but the process isn't the same for every device. Before you learn how to take a screenshot you should check which version of Android your smartphone or tablet is running. If you have a relatively modern smartphone (post-2011), such as a Samsung Galaxy S3/S4/S5, HTC One, Sony Xperia Z/Z1/Z2 or Nexus 4/5, then you should be running at least Android HoneyComb, Ice Cream Sandwich, Jelly Bean or KitKat, which makes taking a screenshot a doddle. The first and easiest way to take a screenshot on Android 4.0 and above is to simply press and hold your android phone's Power and Volume Down Button at the same time for 1 to 2 seconds. You should then hear a shutter noise and the screen will flash; there will also be a screenshot notification in the drop-down notification bar from which you can access your screenshot. Note: This Method is Working On - Micromax, Some Samsung and Other Phones. Its also allow you to take a screenshot when you playing videos. The second method is simple, too. 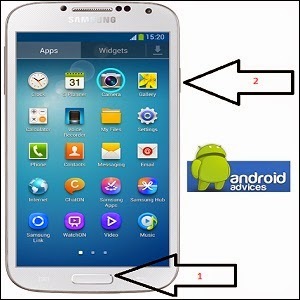 This method is working on many samsung android mobiles. Press and hold your android phone's Home Button and Power Button at the same time for 1 to 2 seconds. 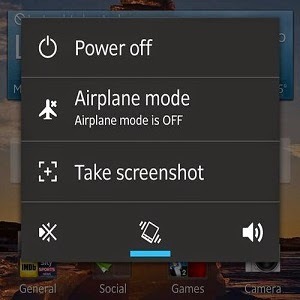 On some phones the 'Take a screenshot' option is available from the Power off menu. Press and hold the power button for 1- to 2 seconds until the power options screen appears. If the option is available select 'Take a Screenshot'. Don't worry, it will take a screenshot of whatever is behind this menu. If above methods are not works for you then use this methods. Press and hold your android phone's Home Button and Back Button at the same time for 1 to 2 seconds. 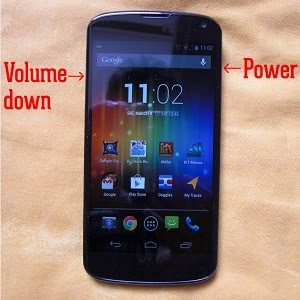 Or, Press and hold your android phone's Power Button and Home Button at the same time. I think it will help you. Thanks to - Marie Brewis. 1St method is working in zen,micromax,m touch,k touch,spice,lava,Videocon and some other phone not in Samsung mobile I used it in zen mobile and it is absolutely soo easy and thanks bro for it.